USED/WORKS 100%. THEY BOTH HAVE BEEN TESTED AND THEY BOTH SOUND GREAT. THEY BOTH HAVE LITTLE TO NO SIGNS OF PAST USE, WITH THE EXCEPTION OF A FEW FAINT SCRATCH LINES HERE OR THERE.SEE PHOTOS FOR FURTHER DETAILS. 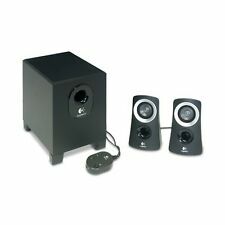 Logitech Z906 THX-Certified 5.1 Digital Surround Sound Speaker System- 980000467. Condition is Used. Shipped with USPS Priority Mail. Tested working all components. Great condition overall. Bose Companion 5 2.1 Multimedia Speaker System. Shipped with USPS Parcel Select Ground. Was working when it was pulled off the desk. The one speaker on a stand has a bit of cracking on the base (see pictures) Has all the cords and the control center. 5 speakers, subwoofer. SPEAKER SYSTEM. Creative Technology. POWER DEVICE. SPEAKER SYSTEM DETAILS. Speaker Type. Speaker Qty. System Components. Open box unit in excellent condition! This product comes with a full manufacturer's warranty (valid only in the United States). It has been fully tested by our team of audio/video experts, has the original box and includes all accessories. Our inspections are thorough so we can ensure you receive a product that you will love. A dozen years and well over 1,000 fan upgrades later, here is a kit with upgraded components and a silent cooling fan for the 2.1. The newer versions that do not have a power switch do not need a cooling fan. PC Logitech Z-640 5.1 Speaker Surround Sound System Tested Great Condition. Condition is Used. Shipped with FedEx Ground or FedEx Home Delivery. Speakers were manufactured in 2002, and discontinued in 2004, and this is the last of these proprietary speakers designed for Apple by Harmon Kardon. Do not argue with people. Logitech Z506 Speaker System Audio Power Output. Item is still sealed and new. 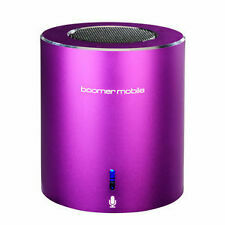 Work great with ANY sources such as computers, iPod, iPad, TV, CD players etc. I have described this item to the best of my abilities. I reply quickly. Full bass, compact design. Audio devices with a 3.5 mm output, including: Windows and Mac OS computers, Smartphones, Tablets, MP3 players. (UK MAINLAND & N.I ONLY). Griffin iFire Adapter für Apple / Harman-Kardon Pro Speaker. Mit diesem Griffin iFire Adapter können Sie die schönen Apple Pro Speaker mit Miniklinke an praktisch jeder analogen Audioquelle verwendet werden. The item up for sale is USED "Tested/Working Apple M6531 iMac Power G4 Wired Desktop Speakers Clear Sphere ". Secondary functions not working properly or missing components are disclosed as follows. Logitech X-530 5.1 Complete Channel Surround Sound Speaker System! Tested! The box was opened for contents inspection. Good unused condition. No owners manual included. Works great. Lost the Control Pod. It does require the control Pod to operate. Original Bose Companion 3 Series II Multimedia Speakers Set Condition is Good Used Has very small dent in 1 speaker as shown in photos Please see all photos for detailed description of exact item and condition of item you will receive Fast free shipping Shipped with USPS Priority Mail. Computer & Monitor connection. Headphone connection. 2 x headphone jacks. Speaker plugs directly into the monitor for it's power. 2 x 5 W per channel stereo. Full, rich stereo sound. Video of CR3 Authorized Mackie Dealer! Mackie is the first to solve this issue. Let’s face it… a lot of workspaces are cramped. Either way, great-sounding monitors that don’t eat up a ton of desk space would be ideal. All speakers in very good condition. Seem to work perfectly fine. Ask any questions. 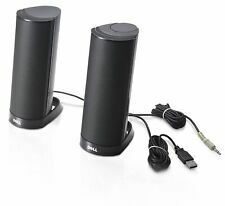 • Logitech Z506 5.1 Surround Sound Speaker System. Five speakers plus one subwoofer provides audio you can hear and feel. • Surround Sound with 3D stereo. • Headphone in jack. • Three (3) 6 Channel Inputs (Includes 3.5 mm Audio IN). Like New Cambridge Soundworks speakers. These are 6 speakers from the Creative Megaworks 6.1 set. These are just the speakers, no speaker cable. The speakers were not used much. Great condition! 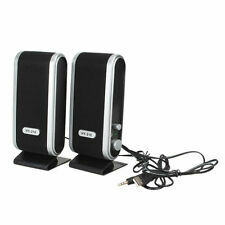 These can be hooked up as normal speakers to any existing receiver. The sub is not included. Genius brings you amazing bass enjoyment for music and gaming enthusiasts with this new speaker system, SW-G2.1 1250.Its subwoofer uses an advanced 5.25" drive unit in an ultra-rigid MDF board cabinet, so you can be encompassed by solid, deep and extended bass.The curvaceous satellite speakers with magnetically-shielded 3" cones deliver full midrange and well-balanced detailed sound.The individual control box makes it easier to adjust the volume and bass.There is also microphone jack on the control box for chatting with on-line game partners.SW-G2.1 1250 has a 3.5mm standard input for PC game and MP3/CD player users, and a 2RCA jack for game consoles, DVD players and TV listeners. It also has... Click here for more details. This is for 1 replacement speaker (as pictured) for the Klipsch ProMedia 2.1 THX surround sound system. What you see is what you get. if you’ve busted one, here is your replacement. This speaker is in excellent cosmetic and functional shape. I have the subwoofer listed for sale separately. Zoom in and n the pics as they are my best descriptors. Ask any questions. From a recent estate sale, this is a preowned Bose Companion 3 Series II computer speaker system. I just cleaned the whole system, including cleaning and lubing the switches. It exhibits some wear as shown in the pictures, including a ding to the subwoofer grille. Overall, a nice set that will give plenty of music listening pleasure. Experience wall-to-wall expansive audio and pure, crystal-clear sound with only 1% THD (total harmonic distortion). All they only serve for serious stereo sound with exceptional clarity and zero distortion. Hier ist die einzigste Möglichkeit. Ideal für jmd., der eine defekte hat und sucht Ersatz dafür. 3x Round 64ohm. 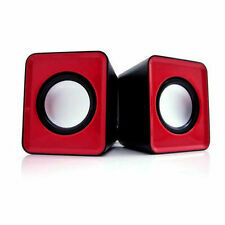 25w Mini Speakers. Output.25 watt. Depth.32" (8mm). These feature a clear plastic cone as pictured.They have a fairly heavy magnet for their size.Great for applications where size is a problem! Zuspielgerät mit Kabel und 3,5mm Klinken-Anschluss (z.B. 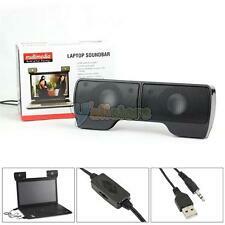 Handy, PC/Notebook, MP3-Player, Spielekonsole etc. - Lautsprecher Vorn: 35 Watt. - Tiefenregler am rechten Lautsprecher. - Lautsprecher Hinten: 35 Watt. ). Up for your consideration is a pair of funkeys computer speakers model FK610. The are red and green in color. The speakers are brand new still sealed and never opened. Come from a smoke free home. As always fast and free shipping.